The rainbow is a compelling spectacle in nature—a rare, evanescent, and beautiful bridge between subjective experience and objective reality—and no less remarkable as a cultural phenomenon. A symbol of the Left since the German Peasants’ War of the 1520s, it has been adopted by movements for gay rights, the environment, multiculturalism, and peace around the globe, and has inspired poets, artists, and writers including John Keats, Caspar David Friedrich, Edgar Allan Poe, and Nathaniel Hawthorne. 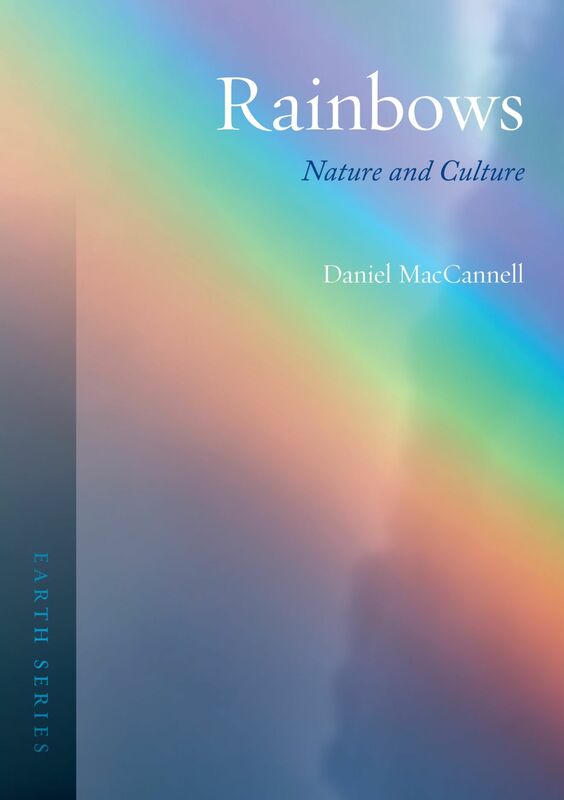 In this book, the first of its kind, Daniel MacCannell offers an enlightening and instructive guide to the rainbow’s multicolored relationship with humanity. The scientific “discovery” of the rainbow is a remarkable tale, taking in ancient Greece and Rome, medieval Persia, and Islamic Spain. But even as we’ve studied rainbows, adopted their image, and penned odes to them for millennia, rainbows have also been regarded as ominous or even dangerous in myth and religion. In the twentieth century, the rainbow emerged as kitsch, arcing from the musical film version of The Wizard of Oz to 1980s sitcoms and children’s cartoons. Illustrated throughout in prismatic color, MacCannell’s Rainbows explores the full spectrum of rainbows’ nature and meaning, offering insight into what rainbows are and how they work, how we arrived at our current scientific understanding of the phenomenon, and how we have portrayed them in everything from myth to the arts, politics, and popular culture. "Rainbows, often depicted as a simple arc of six or seven colors, are complex visual phenomena that have fascinated humans since ancient times. In this nicely illustrated guide, historian MacCannell starts off with a brief chapter describing the science behind rainbows and their many different manifestations. He moves on to deeper discussions of the history of their scientific study and of their mythic, artistic, cultural, and political significance." "An excellent job of highlighting examples from around the world, including South America, Asia, and Africa. The author's writing style and frequent use of primary sources and pictures create an easy to follow and enjoyable narrative. . . . Extensively researched and sourced. . . . Recommended."